This article was originally published in Peter J. Schneeman edited book Kunstausbildung, Aneignung und Vermittlung künstlerischer Kompetenz , Vereinigung der Kunsthistorikerinnen und Kunsthistoriker in der Schweiz, Bern, München 2009. Chinese modern art defies any simple definition, but is rather characterized by plurality, diversity and at times contradiction. The conservative critique of Chinese modern art, with its ideological self righteousness and moral-psychological intensity, however, often manages to dislodge the post-modern debate by forcing it into a reductionist conundrum between socialism and capitalism, avant-gardism and academism, ‘official’ and ‘unofficial,’ and, above all, into the over-simplicity of right and wrong. A view typically expressed by the late Hans Van Dijk: “After 1979, the art world began to split into official and unofficial camps. The officially acknowledged artists concentrate on traditional Chinese painting, wood engraving and oil painting as developed under the influence of Soviet socialist realism. The unofficial camp worked on experimental forms, partly derived from modern Western art. [i] Furthermore, Chang Tsong-zung pointed out the art academies represented the “orthodox” opposite to the dissident “unofficial art”. 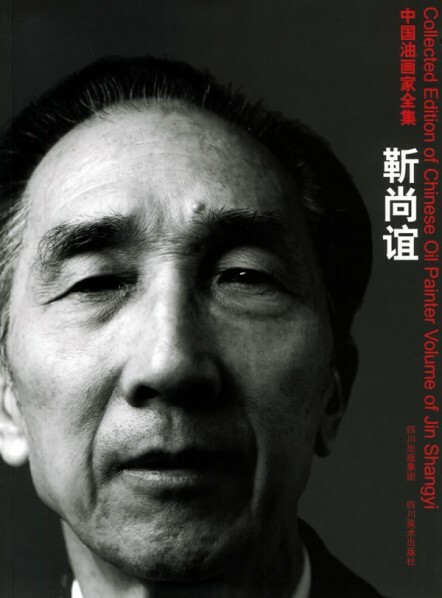 [ii] Therefore, Chinese art academies as well as other official art institutions were often portrayed as a complete obstacle to modern art aspirations. The main reason for that Chinese mainstream art, as represented by academic art, has been almost excluded from the discussions in the international arena seems to lay in the fact that the style and subject matter of Chinese academic art belongs to a past European art tradition, and thus has rarely been seen in the context of contemporary issues. However, comparing Chinese modern academic art with European academic art in the 19th century as a counterpart of modern art may not be appropriate, as Chinese academic art has never been steeped in the same solid tradition as European art. For the reform-oriented artists and lecturers, Chinese art academies enabled new developments in the arts since the end of 1970s. The following decades saw the emergence of academic modern arts that provided many exploratory models, lessons, and new experiences. According to Albert Boime, Academic art in its broadest sense, “represents the typical product of an art school: an art planned around the gradual mastery of the human form considered the basis for mastering all objects in the visual environment”. Boime goes on to suggest that the term ‘academic’, however, “implied a philosophical rationale and attached itself to a special way of drawing the live model during the nineteenth century.”[iii] Indeed, the academy’s doctrine was set up in France as early as the seventeenth century, when drawings and paintings after the model were called ‘académies’; eventually, this term came to refer to certain stereotyped poses of model considered noble and classic. Chinese Academicism does not share the long and strict doctrine of the French academy before 19th century. It was intermittently broken up by wars and revolutions. Western-style painting became a required part of China’s national education curriculum in 1902. Until 1930s, artists who studied in France brought back to Chinese academies the full range of modernist trends ranging from post-impressionism to fauvism and surrealism, but it was social realism took the major role during the Second World War and the following Maoist socialist revolution. [iv] After the People’s Republic of China was established, the socialist realist art became an official style and a dominant style in Chinese art academy. [v] During the 1950s and 1960s, the impact of Soviet and Eastern European art via training methods, translated art books, and teachers in China was enormous. Some Chinese artists had studied in the USSR and elsewhere in Eastern Europe between 1953 and 1959, and some other artists had trained in the Maximov oil painting training class in Beijing from 1955 to 1957. They had spread the oil painting technique they learned from the Soviet Union to various major art academies around China. [vi] But the formal academic art education had been interrupted during the Cultural Revolution (1966-1976). Up until then, Chinese academism has been involved from at least three traditions: the classical European tradition brought back to China by the generation of students who studied in France in the 1920s and 1930s, the Socialist Realist tradition that was imported and evolved from the former Soviet Union in the 1950s, and the attempt in China in the 1960s to establish a national identity in connection with the proletarian revolution. The mainstream academic training in China might be called ‘New Academicism’ since 1980s. It emerged in a specific period when academic art education was reinstated after the Cultural Revolution and the academy finally regained its technical and training autonomy. In the most privileged Central Academy of Fine arts, Beijing, for example, the studio system was revived in early 1980 and four studios in oil painting department were set for various artistic directions. [vii] Lectures in the academy started to celebrate the newly achieved artistic freedom. They wanted to pick up everything they have missed in the past thirty years, from classic realism to modern abstractionism. While students belonged to different studio may pursue variety of styles, academic realism was the basic curriculum for all of them. Therefore, the new academism in China did not have a set of conventions like European classical academicism, in spite of the fact that it was not as diversified and open as the Western modernism. Generally speaking on training system, Chinese academicism has the same basic rule originally derived from the French model. At its most elementary level, Chinese academies stress basic instruction in drawing. Training in drawing begins in the attached schools of the academies and preparing training class for entrance tests into the academies. Instruction consists of lessons in anatomy and perspective as well as the drawing of the cast and the live model. The rigid training procedure on drawing forms the basis of aesthetic pedagogy in the academies, particularly in Western style art departments such as oil painting departments, and sculpture departments. Until 1990s, almost all Chinese artists were trained in the academies, even the “unofficial” one, very few of them had never received formal art education, [viii] The Chinese art educational system is highly selective one. 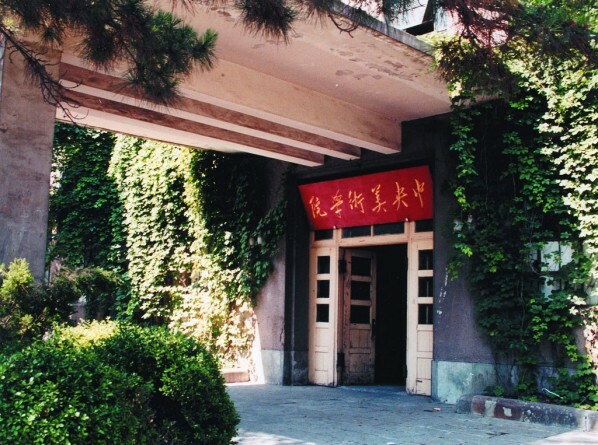 Competition for entrance to the academies was extremely high, both for undergraduates and postgraduates, especially during 1978-80, the first few years when the entry examination was re-instituted after the Cultural Revolution. The number of applicants each year was normally more than twenty times the number of students actually accepted. The highly selective procedures generated close affiliation between members of each academy intake. For the Central Academy of Fine Arts, more than half of its annual intake came from its own attached school or other equivalent secondary schools. This means that a professional artist in China had very likely received four years general art education, followed by four years of a BFA undergraduate degree and perhaps two years of MFA post–graduate study. After eight to ten years of intensive training under similar curricular norms, the artist was highly specialized and technically integrated. The establishment of the academies which considered “noble” and “classic”, might be represented by Jin Shangyi. He graduated from Maximov’s training class in 1957 and became a teacher at CAFA thereafter. He had visited Germany in 1979 and made a close study of the old master’s work from European Renaissance. His solid academic technique exemplified in many highly accomplished classical realist styles of nudes, figure subjects, and portraits painted in the early and mid-1980s, such as Tuerqi xinniang(Turkish Bride )(1983). As Head of the Central Academy of Fine Arts and Chair of the Chair of the oil painting department, he was instrumental in establishing a classical style of oil painting derived from French classical academic art as a reverse to the influence of Soviet socialist realism. From his own practice and the academy’s teaching agenda, he consistently pursued rigorous academic qualities in oil painting. For him, the incompetent academic art training of the past could lead to nihilist attitudes towards arts and culture, which makes an artist fail to appreciate the best of the fine arts, and the true significance of the tradition. [ix] This intention was best represented in his portrayal of the popular folksinger Peng Liyuan in a salon style portrait of 1984, in which the prominent traditional Chinese landscape painting of the Song dynasty was set as the background. The seated singer was well known for a popular singing style, which fused European opera with Chinese folk song. Every detail of the painting was finely depicted and seemingly signified that the value of Western and Chinese, modern and traditional, fine arts and folk arts were boundless.